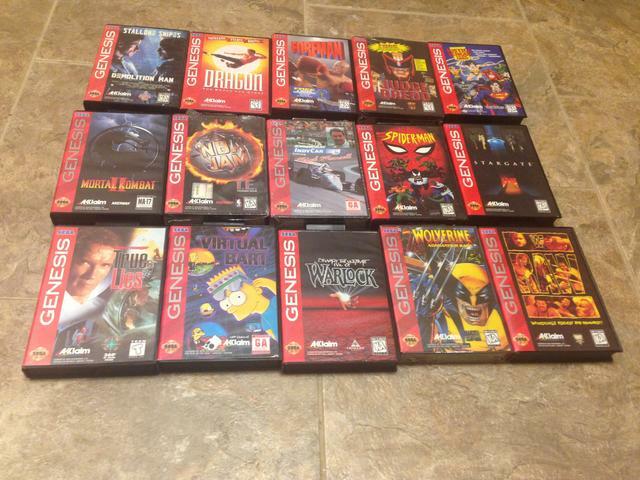 In this mini guide I’ll be focusing on all of the titles that Acclaim published for the Sega Genesis. This guide will not include games published by Flying Edge or Arena. Both Flying Edge and Arena appear to have become associated with Acclaim in 1992. Arena had been formed as a division of Mirrorsoft Ltd. in 1991 to publish Mirrorsoft’s games (with the Arena label) games for the Sega Genesis. The arrangement was related to contract issues with Nintendo. Acclaim acquired Mirrorsoft (and the Arena label) on January 6, 1992. 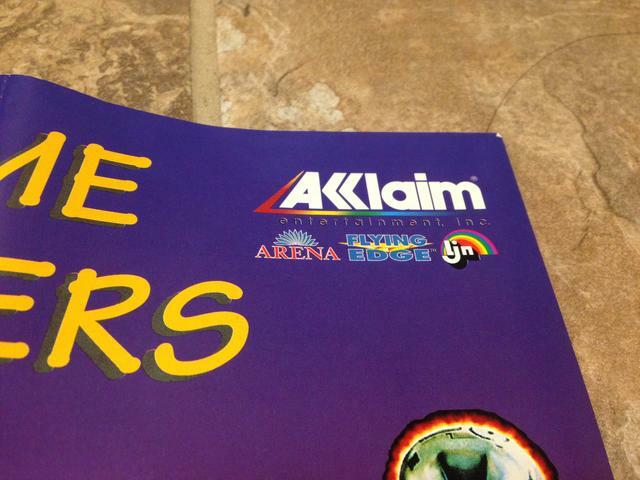 Acclaim also created the subsidiary Flying Edge in 1992 and debuted it at Summer CES in June of that year. 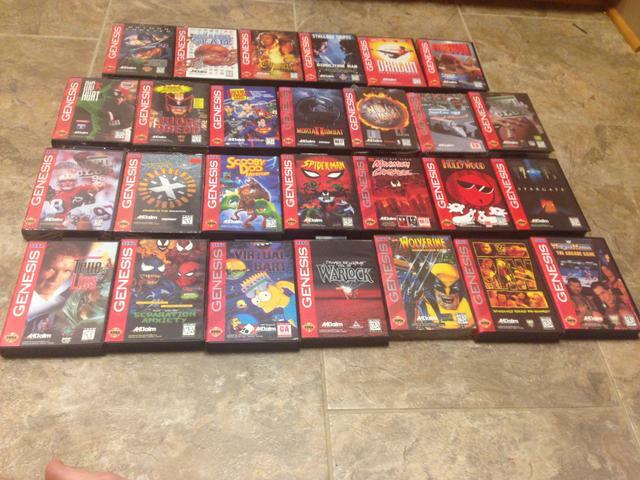 The final games for each label came out in 1994, after which Acclaim used its name on all of the titles it published. In the second post of this thread, I’ll post full lists of games published by Flying Edge and Arena. 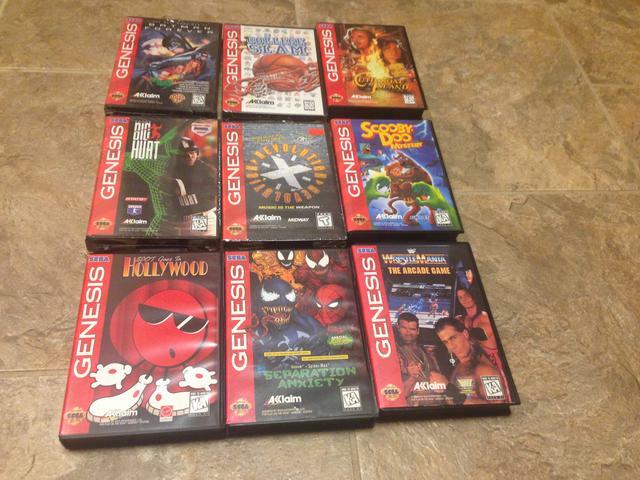 There are 27 Acclaim published releases for the Sega Genesis. I’ve labeled this guide as a “mini” guide because the contents for all of these Acclaim releases are pretty similar. 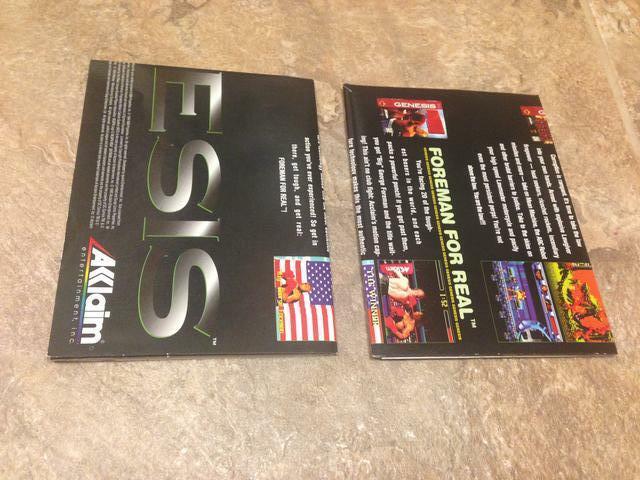 Every single Acclaim release includes a game-specific registration card and an Acclaim poster/insert. 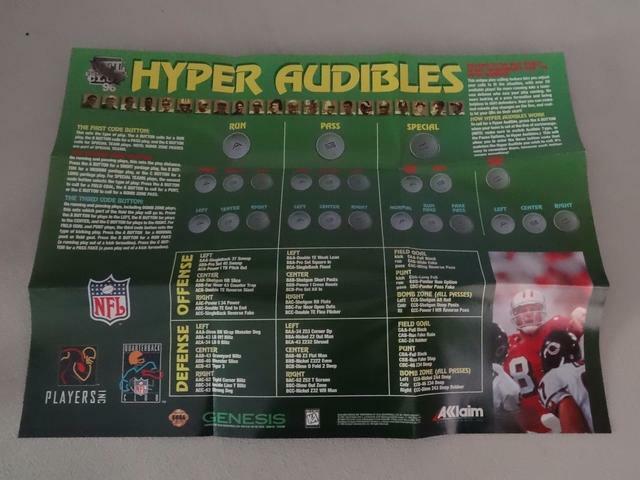 The main point of this guide is to direct you to which posters came with which games while also highlighting any additional inserts that came with certain games. 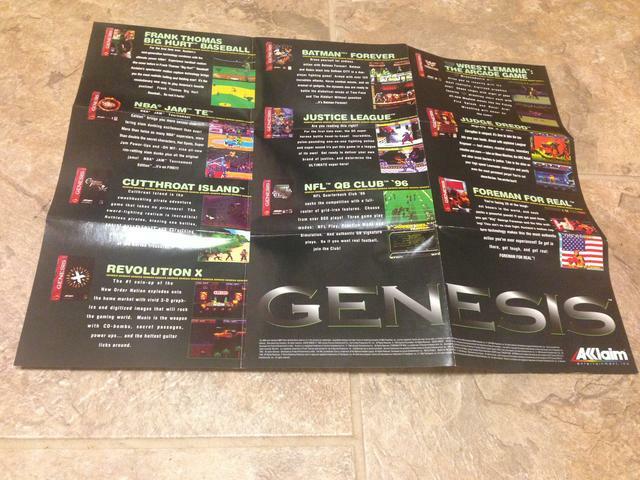 To begin, there are two main posters that were packed in with Acclaim published games for the Sega Genesis. 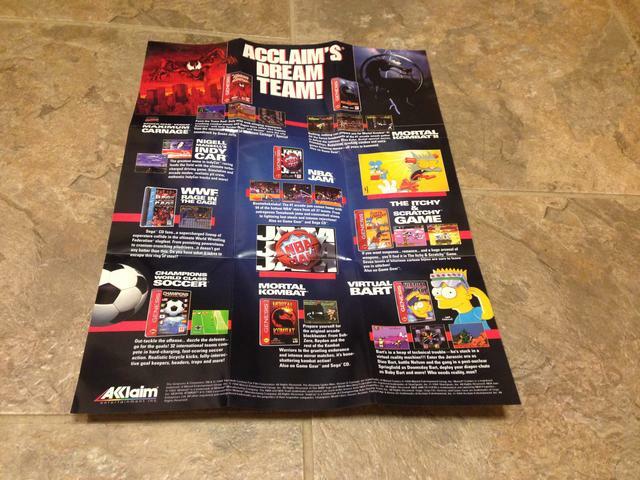 Games published in 1994, along with a few games in 1995, included a poster/insert with the text “Acclaim’s Dream Team!” Later in 1995, and for both releases in 1996, Acclaim instead packed in an insert that I refer to as the “Black/Silver” poster. The word Genesis is written in silver on a black background. 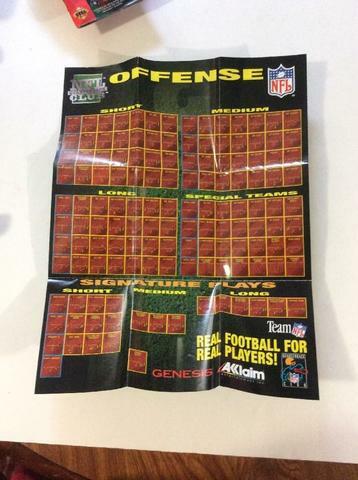 For each insert I’ve tried to show what it looks like when it’s folded up and when it’s completely unfolded. Both of those posters are blank on the opposite side. 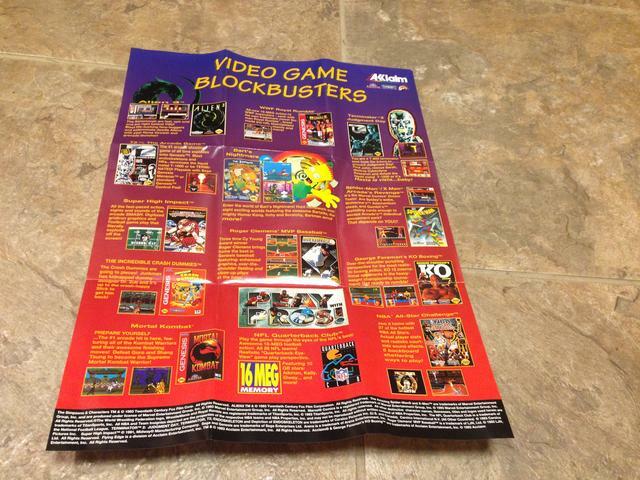 Acclaim (and its subsidiary labels) also used a poster that read “Video Game Blockbusters.” This poster has Acclaim, Arena, Flying Edge, and LJN logos in the top right corner. I have seen the poster packed in with some Arena games and at least one Flying Edge game. 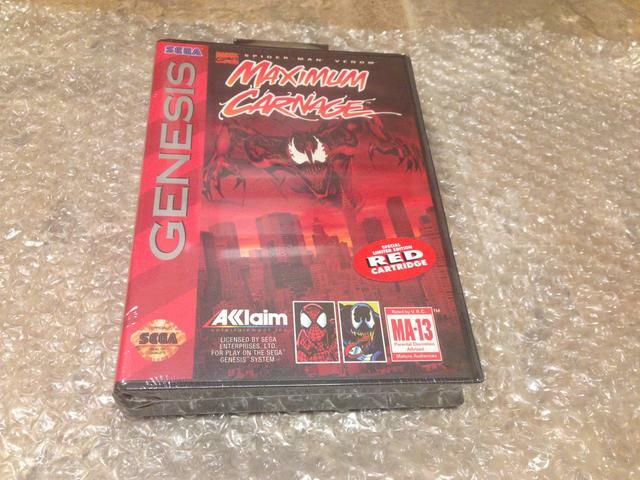 Maximum Carnage is the only Acclaim title to include the “Video Game Blockbusters” poster. A note on Maximum Carnange: this game has two releases, one with a black cart and one with a red cart. 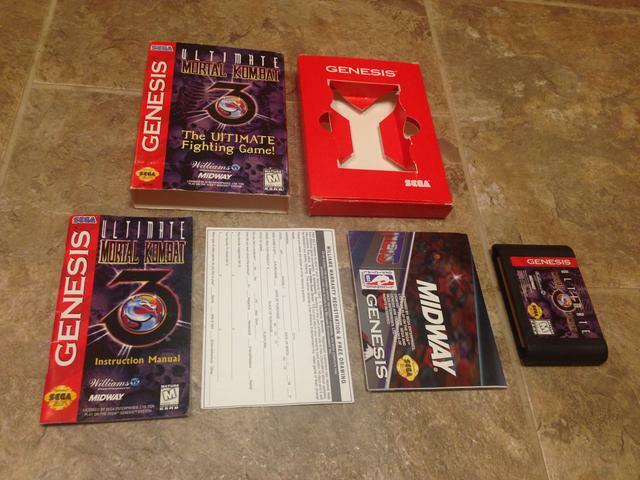 The boxes, manuals, and inserts for the games are identical. The only difference between the two releases is the color of the cart. 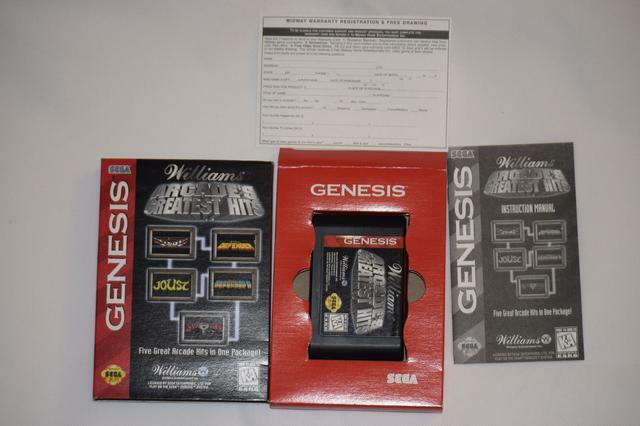 When sealed, the red cart release had a sticker on the outside indicating that the cartridge was red. 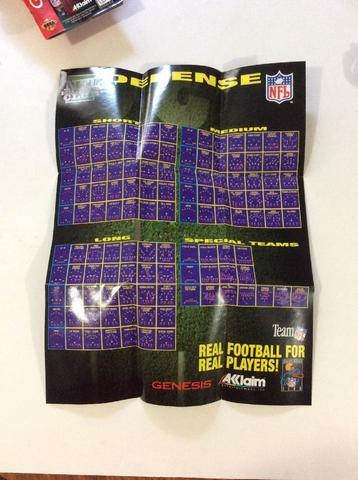 In addition to NFL Quarterback Club 96, four other releases had additional inserts that came with the games. 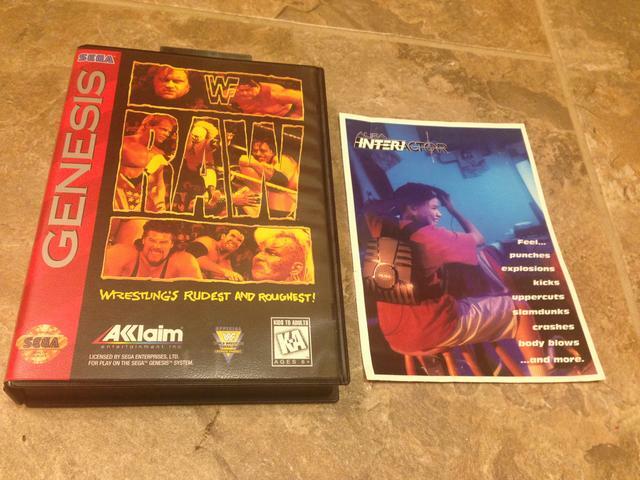 WWF Raw appears to have included an insert for Aura Interactor. 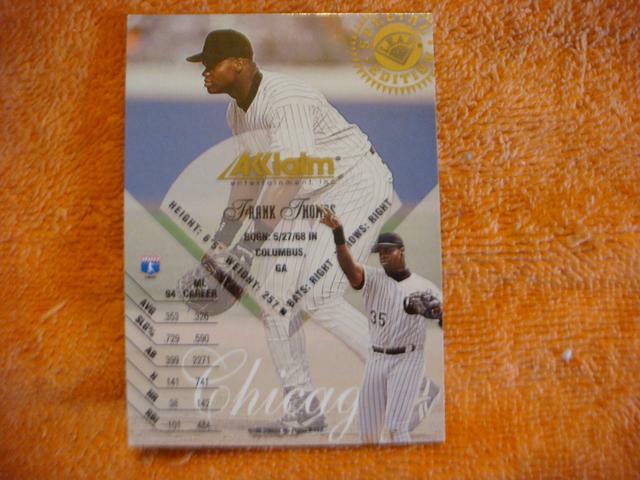 This insert is a more recent discovery for me, but I’ve seen it with two separate copies of the game. 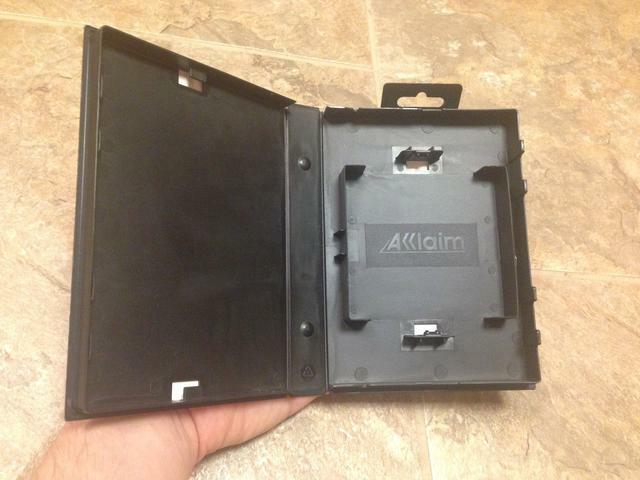 For Acclaim releases, there were two kinds of cases. 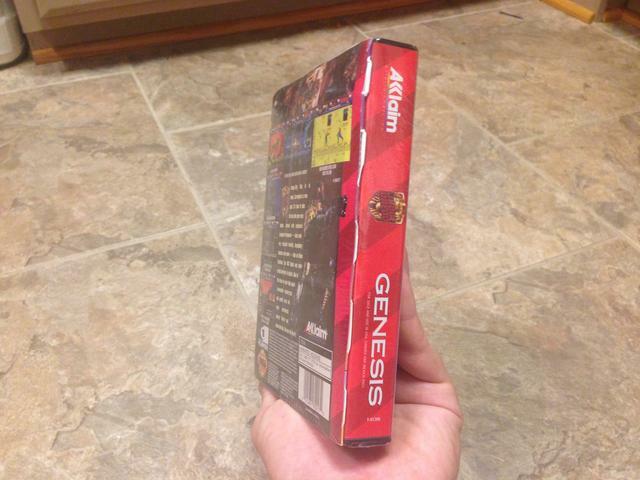 The vast majority of games use a clamshell case with a cart holder that is the same size as a normal Genesis cart. 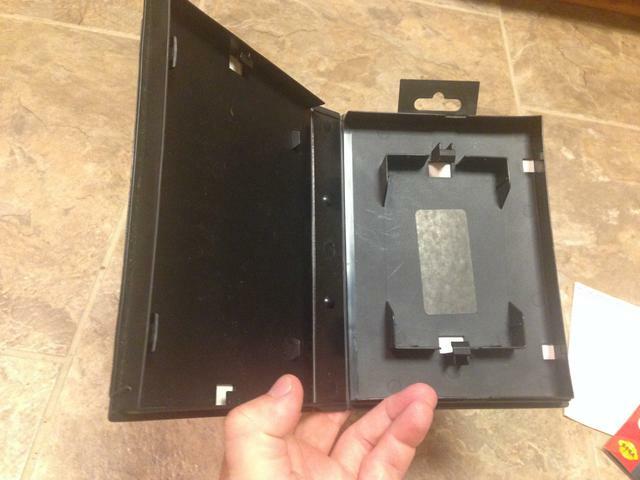 A few titles in 1995 and 1996 used a new case with a larger cart holder, one that could have accommodated an EA games cart. The games that I know about that used the new case style are: College Slam, Cutthroat Island, Revolution X, Separation Anxiety, and Spot Goes to Hollywood. There may be others, but those are the five that I have observed. Arena Entertainment was a publishing label for Mirrosoft and it released games prior to Acclaim’s purchase of the company in January 1992. 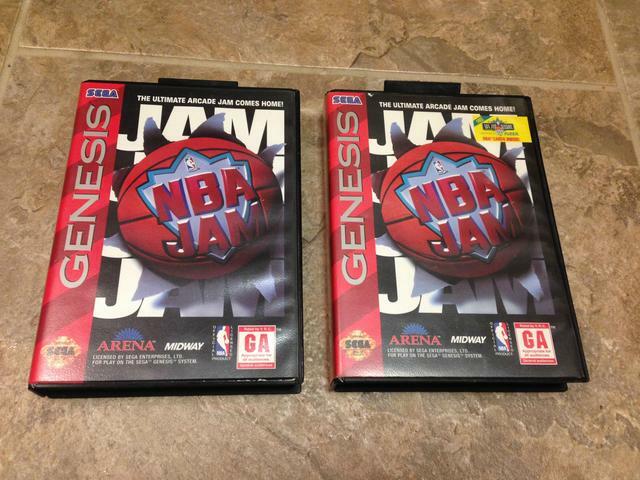 As a result, some Arena games used normal Sega branded clamshells, even though the company is often associated with Acclaim. 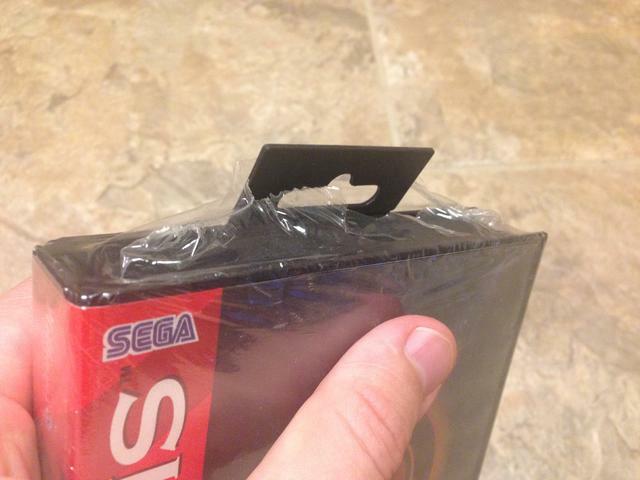 Even after the acquisition, it appears that games continued to use Sega cases for a time. 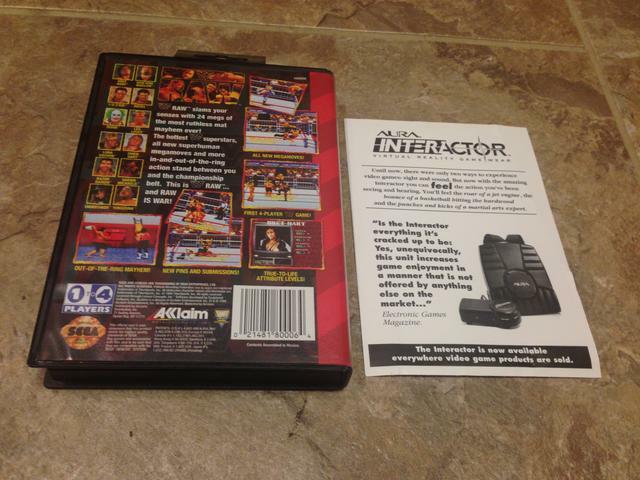 Mortal Kombat and NBA Jam definitely used Acclaim style cases, and I’m pretty sure T2: The Arcade Game did as well. It is possible that other games also did, and perhaps some games were released in both case styles. I haven’t seen observed in both cases, but I’m learning about these subtle differences for the first time while researching these releases, and it seems reasonable that some of these games could have gotten a second print run with updated clamshells. 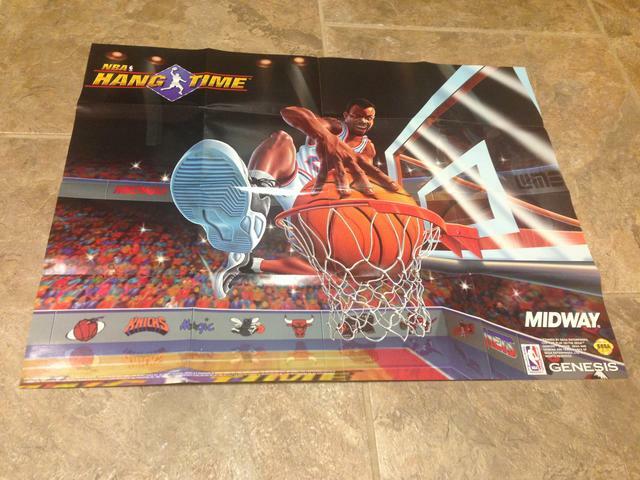 Similarly, the “Video Game Blockbusters” poster doesn’t appear to pop up until the Arena releases in 1993 and 1994. 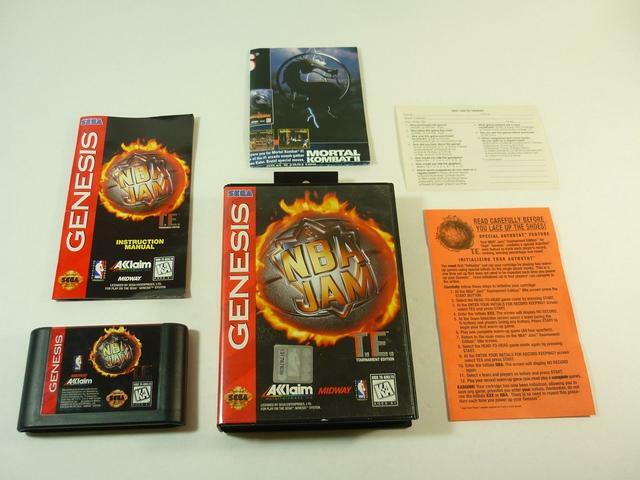 NBA Jam has two releases, one whose cover mentions the ‘NBA Jam Session Fleer Cards,” and one that does not. I presume the release without the cards is a second, later release. 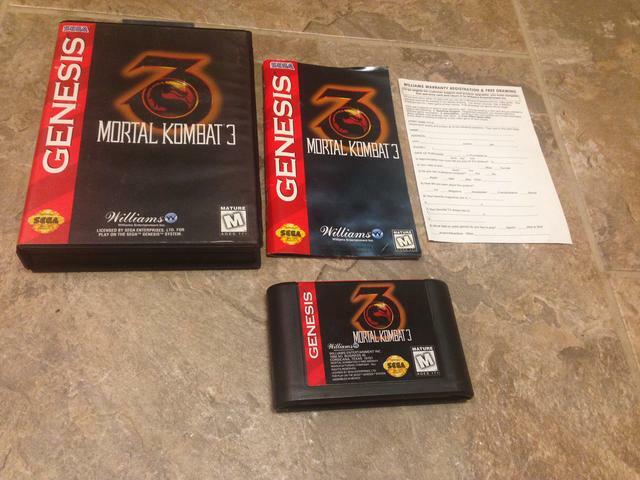 I presume Mortal Kombat had more than one release and that not all releases of the game included the CD single insert, but I’m really not certain one way or the other. I’m sure the chart above on Flying Edge isn’t complete, and I welcome input of any of the other games have registration cards or posters. 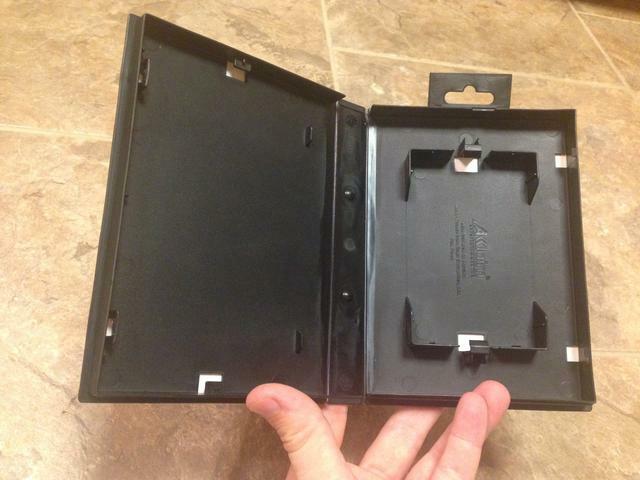 I don’t think any of the Flying Edge games have additional inserts. 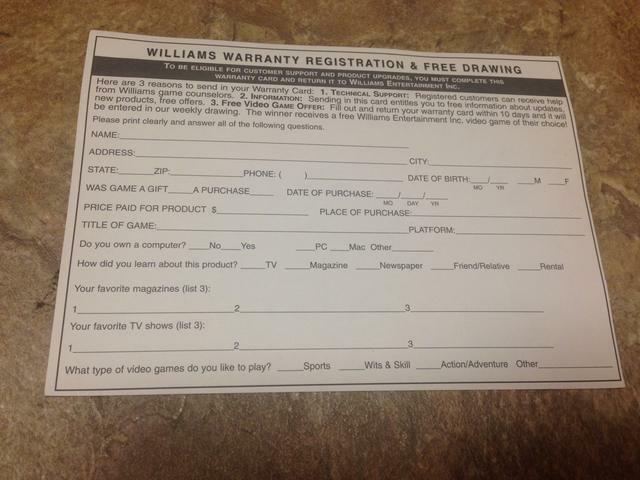 All the copies I have seen of Mortal Kombat 3 (regardless of the uncertainly over case style) have come with a vertical “Williams Warranty Registration & Free Drawing” card. 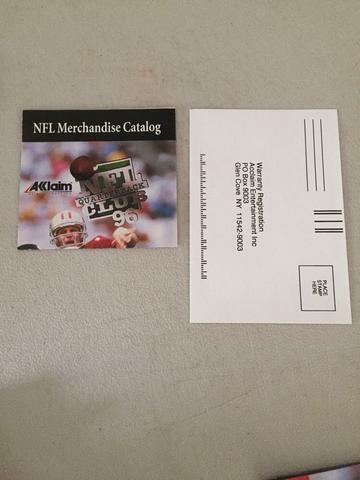 In addition, it appears that a black sticker is covering the acclaim logo. I presume this would also be the case in a wide case-style release. There are two separate releases of Ultimate Mortal Kombat 3. 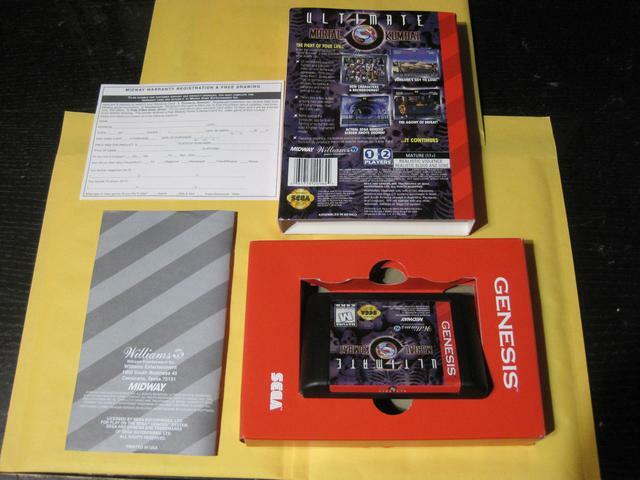 The first release includes a color manual and two inserts. 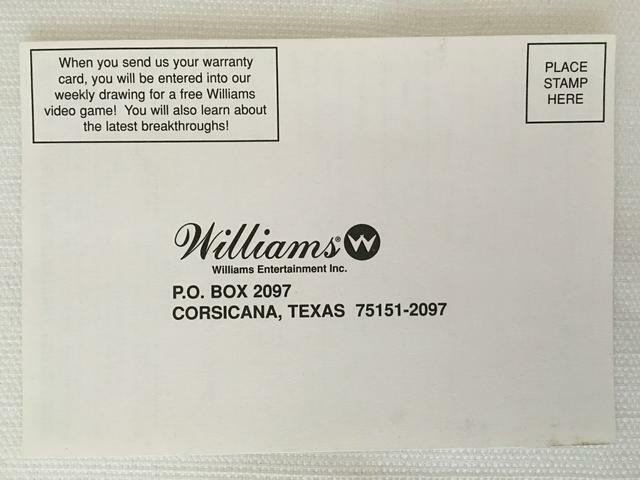 One insert is a poster for the Midway game NBA Hangtime, and the second insert is a “Williams Warranty Registration & Free Drawing” card. 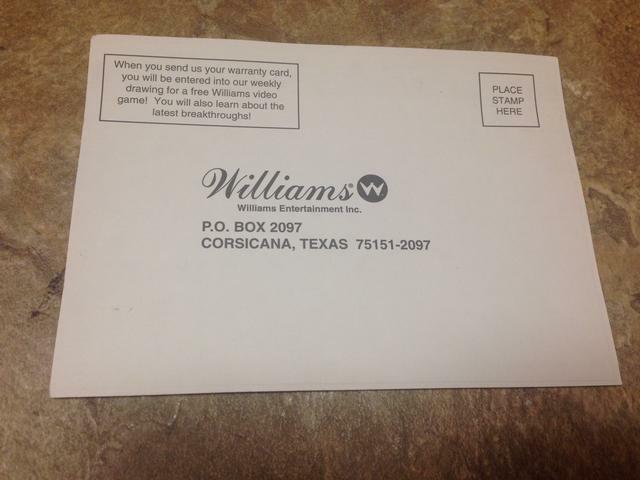 This registration card is similar to the one included with Mortal Kombat 3; however, the text on the card is read horizontally instead of vertically. 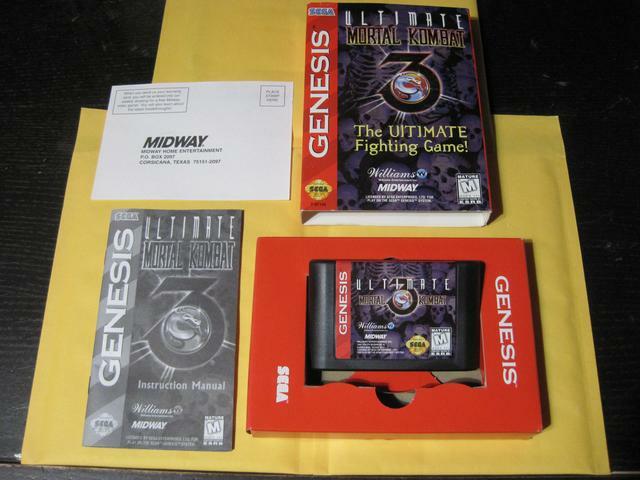 The second release of Ultimate Mortal Kombat 3 includes a black and white manual and a Midway registration card. 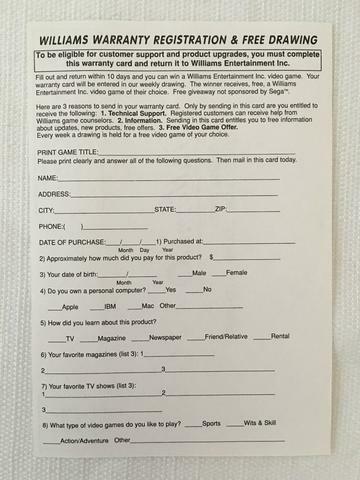 I believe this is also the same Midway registration card that was packed in with the Paper Boy games. 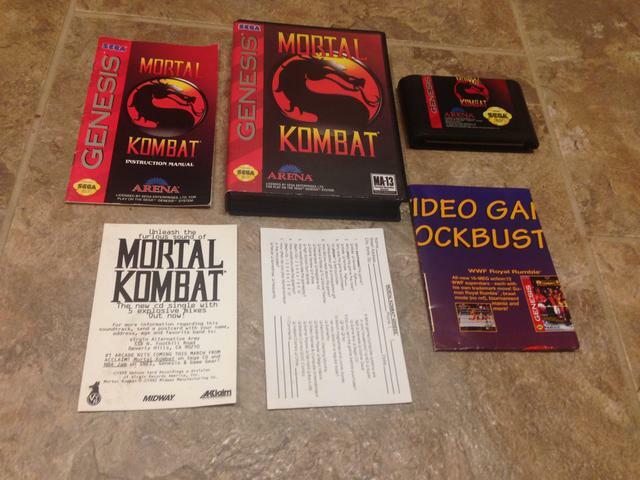 Similar to Ultimate Mortal Kombat 3, Williams Arcade’s Greatest Hits also has two releases, one with a color manual and one with a black and white manual. 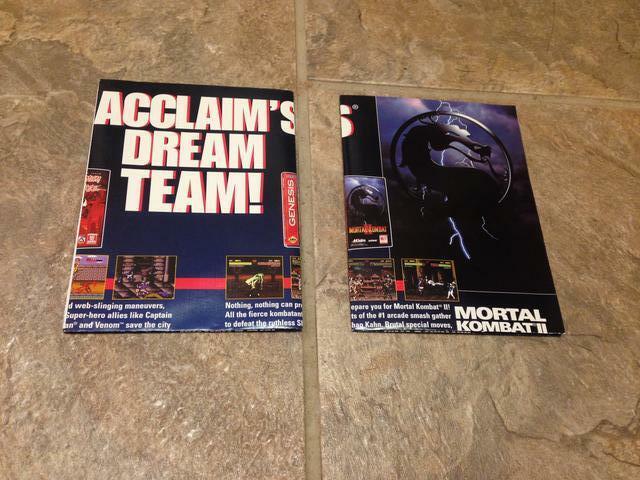 The inserts for each release mirror those of Ultimate Mortal Kombat 3. 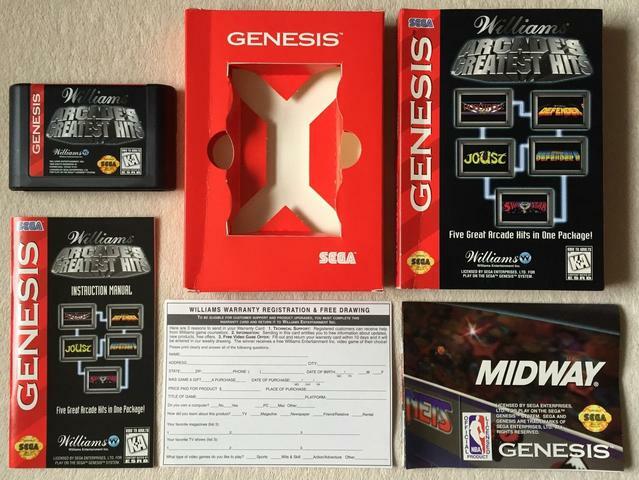 Also of note, the first release of each game (UMK3 and Williams) has a cardboard tray with white inner cardboard; however, in the second releases the cardboard inside of the slide tray is brown, which is probably more "basic" or slightly cheaper to manufacture. My main goal in this “guide” was to cover Acclaim games, but in the end, I decided I wasn’t able to do that adequately without touching on Arena, Flying Edge, and Williams. I’m open to improving my guides, and if you see anything that seems off, please post in the thread! Your guides are always very useful! You're welcome! I've got one more on the KOEI games - they're all consistent (reg card and poster/map), but I think at least photographing them all will be a good reference. After that I think I'm out of guides to do! 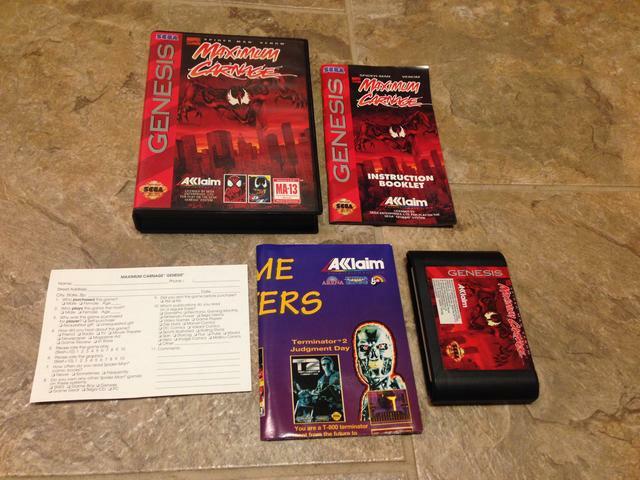 Do you have 100% CIB copy of Addams Family? I tried to find this game with reg card, but never saw a copy with it. OK, thank you! I'll try to search harder for it! Crash Dummies has a Registration Card Also. Recently purchased a copy with it. So yeah, the Aura InerActor Insert is a legit inclusion. 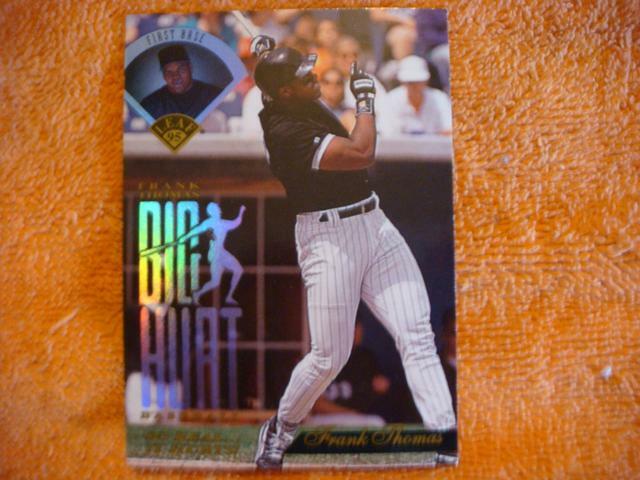 My has it and there are two more recent ones on eBay. Not easy to find a copy with the insert but they do pop-up.